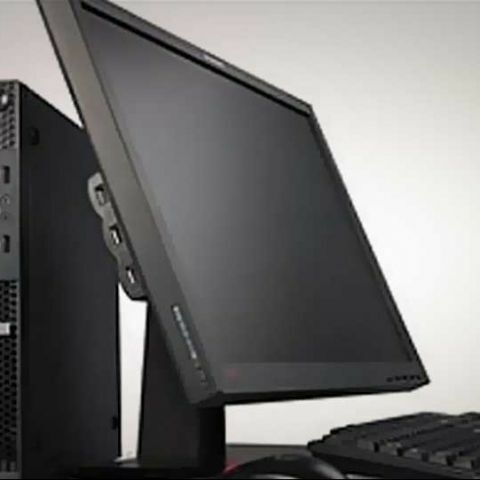 The Lenovo ThinkStation E31 workstation has been introduced, with the mini tower version due on the 5th of June, and the small form factor model due on 13th July, 2012. Pricing starts at $629, translating to roughly Rs. 35,000. They will be available through Lenovo’s business partners, and on lenovo.com. The Lenovo ThinkStation E31 workstation will ship with the choice of the Intel Xeon E3 E3-1200 v2 product family, or 3rd Generation Intel Core i7 processor. The Lenovo ThinkStation E31 workstation comes with the Error Correcting Code (ECC) memory, along with regular 1600MHz DDR3 RAM. Also onboard, are USB3.0 ports. Users will have the choice of Intel HD Graphics 4000 or Nvidia Quadro GPUs (Q4000 or Q600). There can be up to 9TB of storage in the mini-tower model, or 6TB of storage in the small form factor model. Lenovo will pre-install Windows 7 Professional onboard the ThinkStation E31. Lenovo has also ensure the workstation is energy friendly, with a 92% efficient 80 Plus Platinum power supply, and a host of ratings, including GREENGUARD, Energy Star 5.2, and EPEAT Gold. "The ThinkStation E31 an ideal choice for small-to-medium businesses or professionals that need more power and performance than they are getting out of their desktop computer. We have worked closely with customers to figure out how to deliver compact design, reliable hardware components and comprehensive support for the latest ISV applications to meet their needs. The ThinkStation E31 offers businesses a powerful way to get more from their business applications without breaking the bank." "We are all about helping users employ technology to support them in acquiring greater insight faster. Lenovo's ThinkStation E31 entry level workstation combined with our new Intel Xeon processor E3- 1200 v2 product family is helping to do that by bringing workstation performance to designers, engineers, and others who until now believed this level of speed and capacity was out of reach. The ThinkStation E31 with Intel HD Graphics P4000 is also an ideal upgrade for users who have been using consumer technologies to perform basic 2D, 3D, video editing, and financial modeling and require the support for up to three monitors."